A captivating novel of intimacy and privacy – our endless longing for them, and the infinite threat they pose. 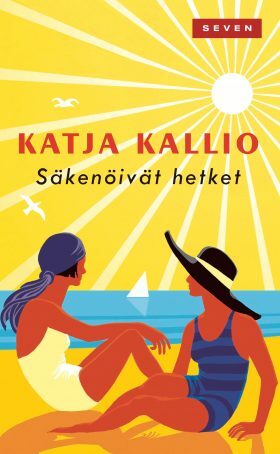 Summer 1914, the seaside resort of Hanko: to the wealthy patrons of the Hotel Pension Bellevue, there is something aloof and enigmatic about their fellow guests Inga and Elly Troberg. What secret do the lonely Inga and her daughter bear? Elly is full of dreams that she hopes to realise with her new friend Peppi. However, an unfortunate misunderstanding assumes a monumental scale and strikes a wedge into their friendship. In a single day, Elly loses the person she loves most, abandons her mother, and is forced to decide her fate. Twenty years later, Elly is the wife of a Hanko smuggler, and her daughters are now around the same age she was that fateful summer. Her middle child Beata’s lack of restraint and unconventional choices come between mother and daughter. In the end, loneliness and guilt lead to irrevocable acts.